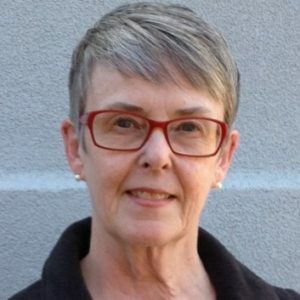 Maureen Brady, of Chicago, Illinois, a former school librarian and computer educator, has nearly thirty-five years’ experience with family history research. She has traced her own Scottish roots back to the end of the 17th century and beyond, and has also pursued Chicago area, the trans-Allegheny U.S., Quebec, Irish and Swedish research. She is the co-director and trainer for the Crystal Lake (IL) Family History Center. 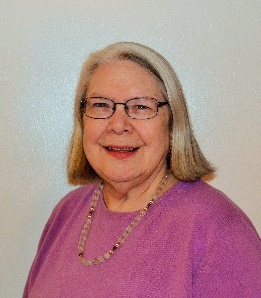 Maureen has made numerous presentations to Illinois and Wisconsin genealogical societies, libraries, conferences and workshops, including presenting at the 2016 and 2017 Central Florida Family History Conference. Her topics include Chicago and Cook County research, Scottish research, Internet sources, and using FamilySearch® and Family History Centers. 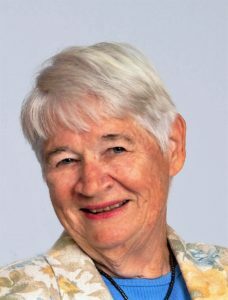 She is a member of the Genealogical Speakers Guild and the Association of Professional Genealogists, as well as a life member of the Aberdeen and Northeast Scotland Family History Society, the Chicago Genealogical Society, the Ohio Genealogy Society and the McHenry County (Illinois) Genealogical Society and the Clan Donnachaidh Society. 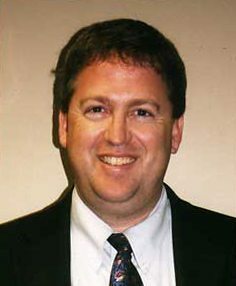 Bruce Buzbee founded RootsMagic, Inc. in 1986 and serves as its President. He graduated from Brigham Young University with a Masters in Electrical Engineering. After graduation he worked as an engineer at Ford Aerospace before moving on to become a Senior Engineer at SRI International. Mr. Buzbee and his family live in the Provo, Utah area and are quite the athletes — competing in running events throughout the United States. Stop by his booth and let him show you their brand new Personal Historian which creates an interactive timeline of a person’s life to keep the stories organized, give context to life events, and to allow users to write stories in any order they wish. When ready, Personal Historian will compile the stories into a finished book complete with table of contents, chapters, pictures, indexes, and more. The book may then be printed at home, edited in a word processor, published professionally, or shared with friends and family. Welcome back, Crista Cowan! Crista has been doing genealogy since she was a child. She has been employed at the Corporate Office of Ancestry.com since 2004. Around her office, she’s known as “The Barefoot Genealogist”. At Ancestry.com’s corporate office, she is very busy with genealogy research projects for the Ancestry Marketing and PR teams, including genetic genealogy research for the TV show, Long Lost Family; being an internal genealogy consultant for Product Management and UX teams; creating, producing, and starring in a weekly YouTube show, “The Barefoot Genealogist.” Crista is seen around the country speaking at conferences and events, teaching people basic genealogy methodology and Ancestry site usage, and interacting with our Ancestry community through social media. She and her husband and children reside in the Provo, Utah area.. Her specialties include descendancy research, Jewish immigration, and sharing family history with the genealogically challenged! I got my start in family history at age 10 when my father took me to the grave of my great-grandfather; that sparked a lifetime of interest in family history. I have spent the last 25 years researching my own family history and helping others make history a part of their story. I am the vice president of the Michigan Genealogical Council. And a member of the Association of Professional Genealogists, the Genealogical Speakers Guild, and the Association for Gravestone Studies. Every family has one -that person who knows all about the family’s history: who is related to who and where they came from. I’m “that guy”. I’m the family history guy! Some of the 20 groups and organizations I am associated with: The National Genealogical Society, Association of Professional Genealogists, Genealogical Speakers Guild, Association for Gravestone Studies, Michigan Genealogical Council – Vice President; Mid-Michigan Genealogical Society – Vice President; Hungarian Genealogical Society of Michigan — President. My name is Mark Fearer, and I have been pursing family history since 1984. I am a graduate of the Institute for Genealogy and Historical Research, and the Genealogical Research Institute of Pittsburgh, and have attended a variety of national and international genealogy conferences. Although specializing in Jewish genealogy, I work with many non-Jewish clients. In addition to genealogy research, I lecture, teach, consult and write about genealogy. I live in Ft. Lauderdale, Fla.
Jim Greene is Product Marketing Manager at FamilySearch.org in Salt Lake City, Utah. After serving a two year LDS Church mission to Argentina, Jim graduated with bachelor degrees in both Spanish and Business Management from Brigham Young University, then earned an MBA degree from Penn State. Jim worked for IBM for 10 years in New York and Salt Lake City. Jim Greene has 30 years’ experience in the computer industry, working at IBM and Novell before coming to FamilySearch seven years ago as a Product Manager. Jim is the marketing manager over communication and messaging about all FamilySearch products. Jim is an avid bicyclist, and commutes daily to downtown Salt Lake City on his bike from his home in Sandy, UT. Jim and his wife Charity have 4 children. 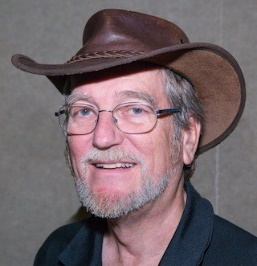 Lawrence R. Kirkwood is the past president of the Florida State Genealogical Society and past president of the Central Florida Genealogical Society. Kirkwood was born in Chicago. He attended Florida Southern College for a Bachelor of Arts degree, the University of Florida College of Law for a juris doctorate, and the University of Nevada-Reno for a Master of Judicial Studies degree. 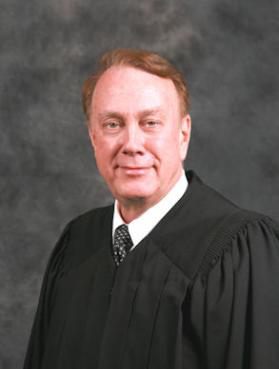 He was a circuit judge in Orange County, Florida since 1981 and recently retired after serving six years as a senior judge on the Florida Ninth Circuit Court. He served in the Florida House of Representatives from 1977 to 1980 representing the 38th district. Judge Kirkwood is an avid genealogist and highlights the connections between the law and genealogy. 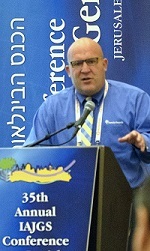 W. Todd Knowles AG, of Salt Lake City, Utah, is one of the world’s foremost experts on Jewish genealogy. He is the creator of The Knowles Collection which contains the records of almost 1.4 million Jewish people! He is a member of the International Patron Services team at the Family History Library in Salt Lake City, Utah. After being introduced to family history at the age of 12, he soon discovered his Jewish roots. The journey to find these Polish Jews has led to the creation of the Knowles Collection, six databases that as of May 1, 2016, contain the genealogical records of over 1.4 million people. Todd, a professional genealogist, has spoken throughout the world and his articles have been widely published. Peggy’s roots run deep into the South, where she is Accredited. They involve the states of Kentucky, Virginia, Tennessee, North and South Carolina, and some areas of Pennsylvania. 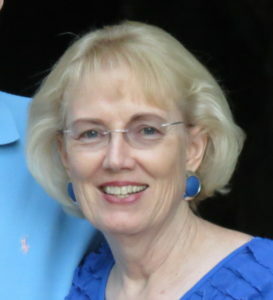 She loves the area of Appalachia, and has written several Legacy QuickGuides that you may purchase from the website http://familytreewebinars.com/peggylauritzen. Currently, Peggy and her husband serve as Family History Center Directors in Mansfield, Ohio. “I love researching and uncovering facts, relationships, and the stories of our ancestors’ lives,” states Ms. Lyttle. Annette has a master’s degree in English from the University of Michigan and a bachelor’s degree in journalism from Northern Illinois University. She has taught research, analysis, and writing to college students at the U.S. Military Academy at West Point; Schiller International University in Heidelberg, Germany; the University of Nevada, Las Vegas, and Pikes Peak Community College in Colorado Springs, Colorado. 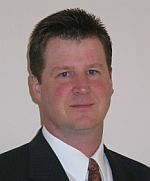 Daniel Poffenberger AG® is the Supervisor of the British Research Team for the Family History Library of The Church of Jesus Christ of Latter-day Saints in Salt Lake City. He is accredited by the International Commission for the Accreditation of Professional Genealogists (ICAPGen) in English research. 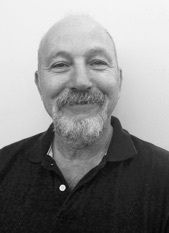 He has been a professional genealogist for 26 years and has also worked as a US and Canada Research Consultant. He received a Bachelor of Arts Degree from Brigham Young University in Political Science, with a minor in Family and Community History. He and his wife Keirstin have been married for 30 years and have 5 children. Dan has presented at hundreds of conferences around the United States and around the world! Elaine Hatfield Powell has been researching her family history for over 30 years and is the author of the book The Family Heritage Album. 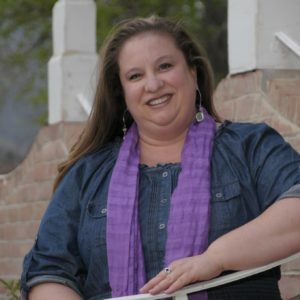 She has been a scrapbooking instructor for over 15 years and her customers affectionately call her The Heritage Lady, which is also the title of her many genealogy surname websites at TheHeritageLady.com. Her classes have been presented to genealogical and historical societies, scrapbooking clubs, and other groups nationwide. Elaine is currently President of the Central Florida Genealogical Society and also leads their DNA SIG. She is a member of the following groups: International Society of Family History Writers and Editors, the Association of Professional Genealogists, and the Society of Florida Archivists. She is a member of the DAR, the Jamestowne Society, Daughters of the American Colonists, Society of Indiana Pioneers, and First Families of St. Louis, among others. She is the webmaster for several lineage-based organizations and is the Administrator for the Hatfield and Hobday DNA Projects. Betty Jo Stockton is a native of Orlando and a retired school librarian, with a Bachelor’s & Master’s degree in Education/Library Media. She has volunteered as a genealogical librarian at the Par St. Family History Center for more than 22 years and teaches genealogy classes throughout Central Florida. As a member of the Board of the Central FL Genealogical Society, she serves as corresponding secretary and publication chair. She edits the Society’s quarterly journal, Buried Treasures, and is the author/compiler of 17 books of Central Florida records. She also served as Genealogical Research Chair for the Orlando DAR Chapter. She has been working on her own family’s history for almost 50 years, and finally documented her great grandfather after a 45-year search. 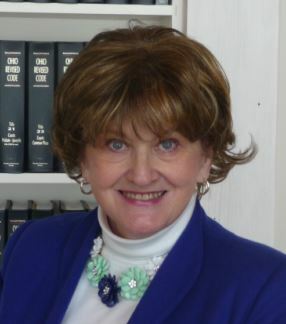 Catherine “Casey” Zahn is a past trustee of the Genealogical Society of New Jersey and was the 2008 program chair for the Federation of Genealogical Societies conference in Philadelphia. A third grade teacher from the Robbinsville, N.J. school district, she has written two teacher guides for the National Genealogical Society and had two articles published about teaching children genealogy. She was recently elected to serve on the National Council for Davis and Elkins College in Elkins, W. Va. where she is an alumna. Zahn was the 1997 recipient of the Governor’s Teacher of the Year award for her district and is an American History Fellow for the Nathanael Greene Liberty Foundation. Zahn often teaches adult genealogy classes throughout New Jersey. She is a member of the Genealogy Society of New Jersey. Her specialties include beginning research, web sites, census, newspapers, immigration, and children. She currently lives in Pennington, New Jersey.